When I received my Roomba for Christmas, 2008, I was thrilled. This device has saved me so many hours of cleaning that I was wishing every appliance could be like this. I even gave mine a pet name, Floora! However, reading the reviews on various sites made me realize that most people don't know what to expect from this adorable little gadget, and so they are needlessly unhappy. If you get one of the Roomba models, don't try it out for a day or two and then leave it to gather dust. You have to understand what it does, and how it is intended to work, in order to get the best use out of it. So if you consider investing in one of these robotic floor-cleaning devices, here is what to expect! Meet Floora, my beloved pet! This has been an incredible time-saver for me. My allergies are so bad that even HEPA vacuums can send me outside wheezing. And having my apartment vacuumed for fourteen hours a week ensures that the dust is kept to a minimum--in fact, I have saved money because my expensive HEPA air-conditioning filters are clean for months longer than they used to be! More advanced than my model. When mine dies (if it ever does--at six years it's still going strong), I will definitely upgrade! Like every other vacuum cleaner in the world, parts do occasionally need to be replaced. After six years, I have replaced exactly one part--the battery. When the brushes or filters wear out, replace them. Check your existing vacuum, too, because it also has replaceable parts. From the hundreds of reviews on various sites, it is clear that most of the dissatisfied customers have unreasonable expectations of the Roomba. So let's be clear on how this handy little gadget operates, and what it is intended to do. The Roomba will not go around and seek out every bit of dirt. Instead, it employs what is called a "random walk" strategy, where it simply runs around your house randomly, and so you can't be upset when it passes right next to a piece of dirt that you see, and doesn't pick it up. It doesn't see that piece of dirt, because it doesn't have eyes. Another cause for dissatisfaction is that the Roomba is used only occasionally, usually just before the mother-in-law visits, and the carpet is not spotless. That, again, is not what the device was designed for. When I first got my Roomba, I had vacuumed a few days before, and thought I did a good job on my 900-square-foot living space. Imagine my shock when I ran it the first day, and had to clean out its bin five times on its first cleaning trip! I have long hair and try to keep it from falling everywhere, and while my regular vacuum (a top-rated one) did not pick up that much hair, the Roomba was completely full of shed hair. I was so enchanted that I started running it all the time. However, after I had to temporarily vacate my apartment after a flood, I got out of the habit of running it more than once a week. By then I was too lazy to vacuum the old way, so it was about a year before I started using the device the way it was intended. I have the 560 model, so as part of my New Year resolutions I began using the scheduling which is a feature of this model, and now my Roomba runs for two hours every day. I am willing to wager that I have the cleanest floors in the complex! Let's face it, nothing is trouble-free. As adorable as robotic vacuums are (I've practically made a pet of mine), you do have to mess with it. Unsupervised, it will get into trouble! When it does, fortunately, it will let you know by playing a sad tune, and understanding the different tunes will help you figure out the problem quickly. When this does happen, simply correct the problem and, if possible, try to prevent it next time. Another complaint I read is that it takes too long to clean the device. Again, we have to weigh the costs vs. the benefits. I get two hours' worth of vacuuming, and a few times a week, I have to clean the Roomba, which takes all of five minutes. So I am trading about fifteen minutes of my time for fourteen hours of vacuuming, which seems like a fair deal. And, after all, you have to clean out regular vacuums too! If handling dust and hair bothers you, try wearing gloves. (Either the dishwashing kind or the disposable kind will do.) You'll still be able to clean your Roomba effectively. This is not miraculous. As the Roomba works its way randomly around your house, it will eventually get that piece of dirt you spotted, just perhaps not today. If your floors are vacuumed daily, you should have no worries when your mother-in-law comes over, because your house has been vacuumed for many hours between visits! After several months of daily use, you won't have to clean the gadget as often, either. I am down to two or three times a week after its daily run, and even then it's not too bad. Remember, all the dirt that ends up in the vacuum is dirt that is no longer on your floors! And you get better with time, too. Remember, this vacuum will not be able to pick toys, clothes, papers, etc. up off the floor, as you can when you vacuum. Pick up the stuff on the floor that you don't want the vacuum to deal with first. Once in a while, stack your dining chairs on top of the table, as they do in restaurants, so that the Roomba can get underneath the table without navigating around the chair legs (take this time to dust off your chairs). Roombas do require a few minutes of maintenance (daily at first, a few times a week thereafter). I have had the same model since 2008, and the only part I have replaced yet is the battery. That was my own fault, because I should have been running the vacuum every day, and I got lazy. Thanks to the scheduling, now mine runs while I am away from the house, and I just have to take a few minutes at night to clean it for the next day. Roombas, like every other vacuum cleaner on the planet, need to be serviced, and have parts replaced. Fortunately, with this lovely little cleaner, you can do 95% of the servicing yourself, and so there will be no more expensive trips to the repair shop. Just about every part on the Roomba, from the motor, to the brushes, to the battery, takes just a few minutes to replace. The replacement parts are very reasonably priced, and the only tool I've ever needed is a small Philips screwdriver (mine came from the dollar store). 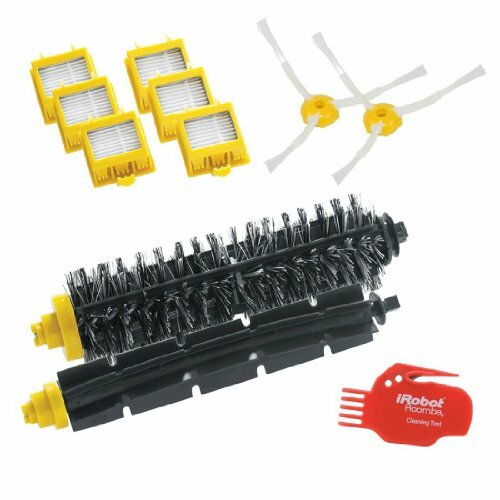 The difference between your regular vacuum and the Roomba is that servicing your regular vacuum is much more difficult, and sometimes requires computer diagnostics to find a problem, which means a trip to the shop. Or you might not even be aware that your regular vacuum requires maintenance! And servicing some vacuums require a set of specialized tools, which can run into quite a bit of cash! Run your device daily. 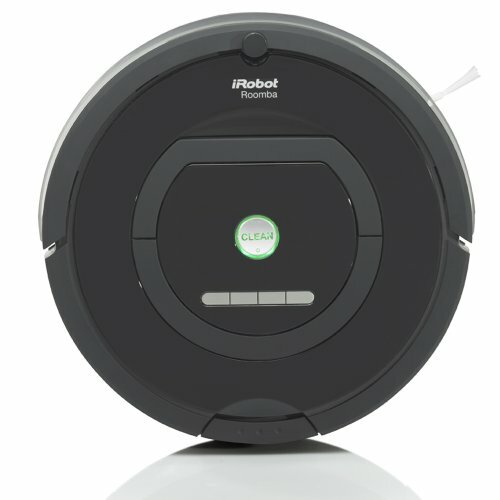 If your Roomba has a program, program it to run every single day. There's no reason not to! Don't hover over it, as entertaining as it is to watch. This is meant to save time for other tasks, so go ahead and do those tasks. Clear its way. Get as much stuff up off the floor as possible. Give it time. Don't expect perfect floors on the first day. Instead, set aside a separate trash bag just for the stuff your Roomba picks up, and look at how much it has accumulated over a month! Clean it thoroughly, and just remember, all that dirt was on your floor! I was hesitant about buying the Roomba but after reading your article I'm starting to consider it again. Great article. One question though... how good is it in avoiding stairs? I have stairs leading to the basement and will the machine fall off? No, the machine will not fall off the stairs. First, it does have cliff detection (what you need to avoid falling down the stairs). The second option, if you don't trust the cliff detection by itself, is that you can buy "lighthouses" for your Roomba that will act like invisible walls. They are battery-operated so you can place them anywhere and simply turn them on and off, and move them around as necessary. If you're really worried, just put a lighthouse in front of the stairs, and the Roomba won't go there. Thanks for the tips! I have a sadly neglected roomba that has really not been used in months; I need to get my husband to program it so it runs when the toddler is awake and start using it again!! I recently purchased a Roomba a few months ago, and I love it! Honestly, living with two cats and hardwood floors was a nightmare to try to sweep or vacuum. You are totally right though, you need to clean this bad boy every couple days, especially if you have pets. The cats fur gets wrapped around some of the moving components and around the brush spindles (ends). As long as you clear this debris once a week or so (depending on level of soil in the cleaning area) you will have a happy robot. For anyone considering buying a Roomba, DO IT! !